What is Ikigai? - ikigaicoachings Webseite! 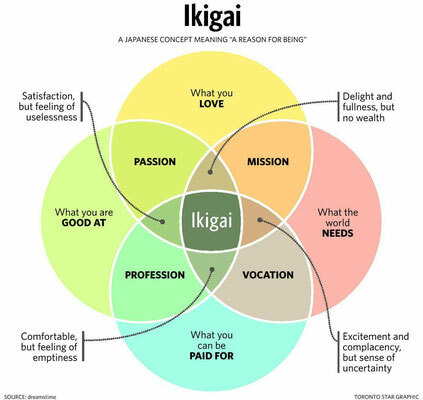 Ikigai (生き甲斐) is a Japanese concept meaning "a reason for being". Everyone, according to the Japanese, has an ikigai. Finding it requires a deep and often lengthy search of self. 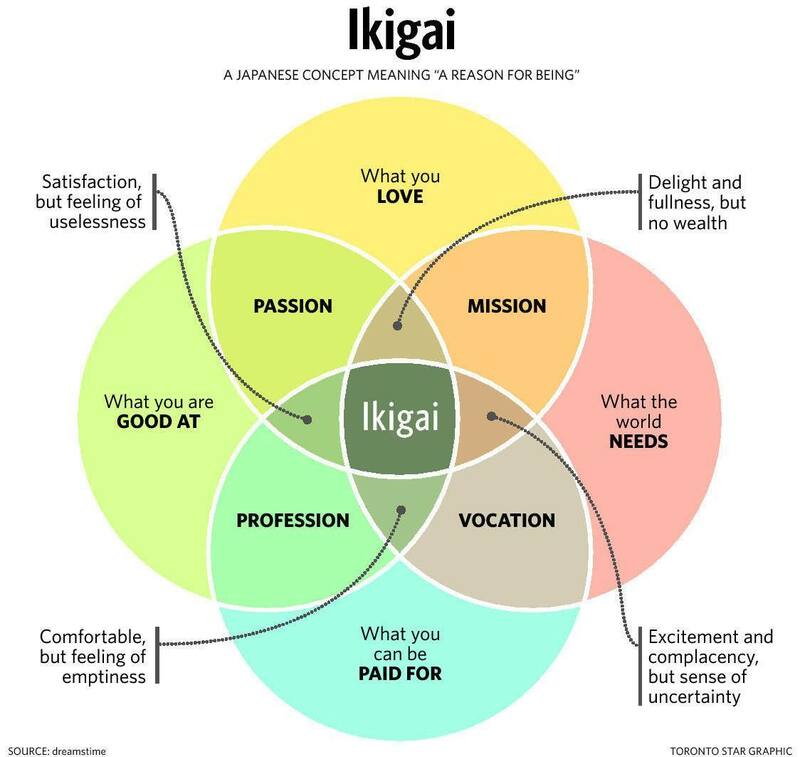 Such a search is regarded as being very important, since it is believed that discovery of one's ikigai brings satisfaction and meaning to life. In the culture of Okinawa, ikigai is thought of as "a reason to get up in the morning"; that is, a reason to enjoy life. It is where passion, mission, vocation and profession meet. The word ikigai is usually used to indicate the source of value in one's life or the things that make one's life worthwhile. Secondly, the word is used to refer to mental and spiritual circumstances under which individuals feel that their lives are valuable. It's not necessarily linked to one's economic status or the present state of society. Even if a person feels that the present is dark, but they have a goal in mind, they may feel ikigai. Behaviors that make us feel ikigai are not actions which we are forced to take—these are natural and spontaneous actions. What is your IKIGAI? What is your WHY, your purpose?